There’s nothing I like more than a spa certificate for a facial, hot stone massage or a mani/pedi combo. My husband has given up trying to get me clothing, jewelry, and chocolate. Instead, he sticks to what he knows. But sometimes it can feel a bit impersonal to receive just a piece of paper. Why not add a little personalization by incorporating some makeup too? Are you giving Mom a manicure for Mother’s Day? Then why not pick out a shade for her to try out as well? That way, she can feel like you are doing a little bit more than just handing over some e-cash. Mom can also continue to use the shade for the rest of the year (and be reminded of your gift too). 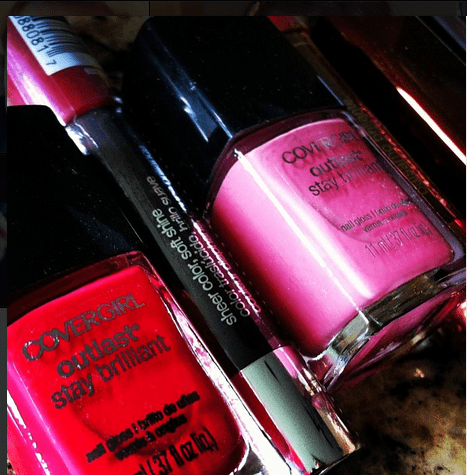 CoverGirl has some really GREAT shades of pinks and reds in their Outlast collection. Available online and in most drugstores (for the right price), consider adding these with a ribbon to your gift certificate and call it a day! Outlast is phenomenal. Love it! Actual a song coupled with dance as a proven way to e say happiness. Belly dance music is always associated with Middle Eastern Movies.